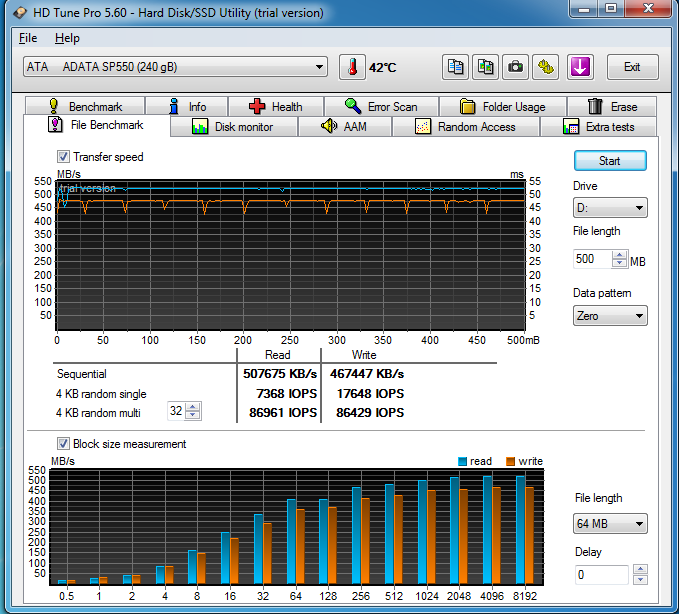 HD Tune Pro provides a bunch of functionalities such as hdd error checking, health checking, monitoring, etc. It also comes with some pretty nifty benchmarks which let you test your drive under various kinds of loads. We see some nice speeds here, even the IOPS are very nice.